The days when you had just a simple joystick or a gamepad for your gaming are long gone. Today there are racing wheels, flight sticks, specialized joysticks; basically, every gaming genre has its own specialized game controller system. 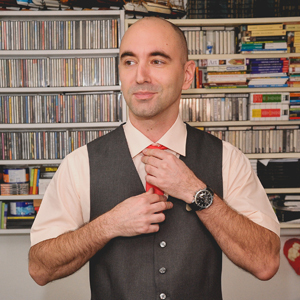 This has completely changed the way we observe games and has added much more realism into it. Old school gamers probably hate it, but the majority of users surely enjoy this evolution. All these changes have also led to additional difficulties in finding the best joystick for your needs, since there are so many different products, with a wide variety of prices and features. 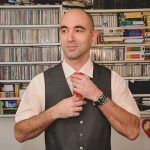 That is where this guide is stepping in: to help you make a proper decision and remind you about (or, if you have no clue about the subject, introduce you to) the characteristics you should pay your attention to. This guide will focus only on the joysticks, sticks and generally systems dedicated to game flying. Therefore, if you are into racing or something similar, this guide probably isn’t for you. Throttle control is important because it allows you to make an easier acceleration and is more practical, especially if there is a separate throttle control. In many cases, if you have a throttle control, you can play games completely without the need for a keyboard or a mouse, which is a very handy thing. Z-axis control gives you the opportunity to twist left or right. When there is no z-axis feature, you can purchase pedals to give you that additional functionality, but that costs some extra money, so if it is possible, it is better for your future device to have that option. You don’t want a button configuration that will require nine hands. If you can easily access all the important buttons with your fingers, without moving your hand away from the stick or throttle, you’ve got a good thing in your hands. HOTAS (Hands on Throttle and Stick) is a system that requires you to keep one hand on the joystick and the other on the throttle, which adds a bit more realism to your game experience. HAT switch allows for switching the camera angles, letting you view the game from different perspectives. That may prove to be very important, especially during “Dogfights”. 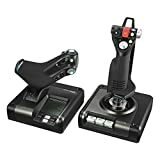 If you are looking for the best flight stick for your flight simulations, Thrustmaster Hotas Warthog should be your choice. Yes, it is pricey as hell, but this is simply a masterpiece that guarantees you will feel like a real A-10 Thunderbolt II pilot, or at least as close to that as possible. A stick with four HATs, four buttons and ten switches; a throttle with two HATs and three buttons, 86 programmable features, a two-stage trigger, a throttle lock, and much more are just some of the qualities of this amazing stick. Pretty realistic according to both looks and feel, Thrustmaster Hotas Warthog is a high-quality product that will satisfy everyone. Its T.A.R.G.E.T. software will allow for easy binding and calibration of all the HATs and switches, while the spots assure for secure screwing of both the components to the wanted surface. Precise, responsive, unforgiving controls will demand for quite a training, so don’t expect to just jump in and do miracles with it. Warthog looks and works perfectly, but is missing one thing – force feedback. Although you can live without it and its installment would probably make its costly price even higher, there is still a feeling that it should be there, especially considering its target audience are flight simulation fans that want the most realistic experience possible. For those looking for an affordable, yet quality joystick that will do a proper job, Logitech Extreme 3D Pro comes as a welcome solution. Durable, equipped with 12 programmable buttons, rapid fire trigger, 8-way HAT switch, twist handle – this device will deliver everything that an ordinary user expects and much more. There isn’t a ton of programmable buttons, no LED lights or any other fancy features; this joystick offers an easy use, reliability and decent build quality that guarantees for its longevity. If you want to get yourself a cheap solution for your gaming, this piece is a great value for the money and among the best cheap joystick options out there. Although its software could be better, it still allows for relatively easy button programming, while its ergonomic design will allow for comfortable use. Altogether, this device is a great product for this price, with performance that won’t disappoint anyone. Thrustmaster T.16000M FCS is an excellent HOTAS stick that offers a plenty of features without going too deep into your pocket. Smooth, comfortable, precise, with multiple axes controls and an ergonomic design, this device is a great option for both stick newbies and experienced flight simulation devotees. 16 action buttons (12 programmable on the base and 4 non-programmable on the stick), 8-way HAT switch, break or rapid fire trigger, four axes of control, plus the S.M.A.R.T (Sliding Motion Advanced Rail Tracks) and T.A.R.G.E.T. programming software will guarantee for great fun and quality performance. Thanks to T.A.R.G.E.T., you can program up to 256 buttons, which includes the buttons of your stick, gaming keyboard and gaming mouse altogether. The stick itself offers great movement, it is crisp and it allows for subtle motions, with decent resistance. When talking about the downsides, it should be stated that it is lacking tactile feedback and that it has irritating LEDs that flash while you are in movement and stop when the stick is centered and, which is even worse, there is no button to turn it off. The only option is to use Google and follow the instructions of other people with such a problem. All in all, this is a quality stick that will deliver plenty of fun into every flight game, especially if you are looking for the best flight stick for Elite Dangerous or any similar adventure. If you are into quality products, with a lot of options, that don’t cost a small fortune, Thrustmaster T.16000M FCS HOTAS should be your primary target. If you want to get yourself a durable and realistic joystick/flight stick that you can use for your WWI or WWII flight games, there is no better choice than VKB Gladiator. Affordable, with precise movement, ergonomic grip, sturdy structure and a handy plug-and-play function (thanks to its 32-bit ARM controller), this device will help you feel and engage as a World War pilot in a matter of seconds. VKB Gladiator has 29 buttons with Shift and Mode functions (17 of which are programmable) an 8-way HAT switch, throttle axis, it offers precision and comfort – basically, everything that a gaming pilot would ever need from a stick is there. Although it is not necessary for a proper work, this device also comes equipped with its own Wizzo software that allows for additional customization, which is surely a welcome bonus. When compared to, for instance, high-quality X-52, it is noticeable that it doesn’t feel as good in the hand (it produces less weight) and that the X-52’s two-stage trigger is a much better option compared to Gladiator’s cheap plastic one. On the other hand, it must be mentioned that it offers more precise work and that its price is significantly lower than of its Logitech rival. To conclude, if you want a decent joystick with more than a pleasing performance and at an acceptable cost, go for VKB Gladiator, you won’t be disappointed. For all those trying to find the device that will allow them to have a realistic flight experience of commercial aircraft, there is no better choice than the Logitech G Saitek PRO Flight Yoke System. This is not a typical joystick or stick, but the yoke or control wheel, like the one you can see on the commercial planes, which makes it the perfect fit for anyone looking for the best joystick for the flight simulator. 14 button controls, three-axis throttle, 3-position mode switch, 3-port USB HUB, with the addition of an LCD display on the yoke, that can be used as a clock, chronometer, or to display profile modes, make this system worth having. Of course, only if you are into a commercial plains. Otherwise, if you are into combat flights and gaming, better choose some other option, this one just isn’t made for that. With force resistance in elevator and aileron axis, a realistic interface and solid construction, Logitech G Saitek PRO will quickly draw you into its world and transform into a pilot, while bringing a smile to your face. You got yourself a PS4, but you are lacking a HOTAS? In that case, Thrustmaster T.Flight Hotas 4 Flight Stick is your only option, because this is the only HOTAS stick that works on PS4 devices. Luckily, it is not expensive and it offers some decent features. Although it is not a premium product, it still delivers a nice experience to the user. 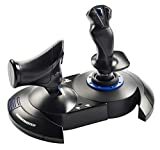 Therefore, if you want the best joystick for Elite Dangerous or War Thunder on PS4, with HOTAS, you are “doomed” with Thrustmaster T.Flight Hotas 4. Don’t get us wrong, that doesn’t mean this stick is bad. On the contrary, there are plenty of good features such as Dual-Rudder System, 12 action buttons, rapid fire trigger, adjustable stick resistance multidirectional HAT switch, detachable throttle, and many others. This device just isn’t top of the class. It is made out of cheap, squeaky plastic, it lacks precision and has many other weaknesses and therefore cannot deliver a premium experience. Still, that doesn’t make it the wrong choice, especially if you take into consideration the fact that it will please most users. Thrustmaster T.Flight Hotas 4 just isn’t the best option, but it certainly is a decent one. Logitech G Saitek X52 Pro system is the best HOTAS joystick you can find, with the addition of a great throttle unit. Equipped with plenty of different options including Z-axis movement, two-stage metal trigger, four fire buttons, two 8-way HAT switches, 3D rudder twist on the joystick, and throttle with tension adjustment, 8-way HAT switch, two fire buttons, and much more – is one of a kind set. You can adjust the handle (5 positions) and throttle resistance; there is a dual spring mechanism and overall large range of controls, followed by a great user experience that just adds to the overall exceptional impression that this device creates. There are even some unique features, such as additional resistance kick when you start your afterburners. Simply everything has been done in order to satisfy the majority of its users. Yes, there are some minor downsides, such as its not-that-great configuration software, and quality control of the product that may result in getting the device that has minor build defects (isn’t common, but it happens more often than it should), but generally speaking, this is a great device that just won’t disappoint you. If you are into basic stuff but want something unique that will be different from the bunch, Mad Catz Cyborg V.1 Stick is the right thing for you. Affordable, with plenty of buttons, Z-axis, interesting design and a great performance in Battlefield 3, this is the best PC joystick you can buy without breaking the bank. You won’t get special features or plenty of options. There are a trigger, five buttons and a switch on the bottom of the joystick and that’s it. What makes this device such a great product is its performance. The throttle is fluid and offers realistic acceleration, twist action rudder control supports accurate maneuvering, while its ergonomic design allows for comfortable use. There are no fancy options on Mad Catz Cyborg V.1 Stick, but this dude does the job and that is the point in the first place – for you to get something that will do what you are asking it to do while having a plenty of fun. The Logitech G X56 VR HOTAS is essentially the same product as the X55 Rhino with slight improvements, that include two small analog sticks (one on the stick and one on the throttle), a new color scheme and RBG lighting. Other than that, this is the same product. There are two throttles, and you can adjust their frictions according to your preferences, a throttle lock, adjustable stick with 4-Spring F.E.E.L. System, a possibility to configure axis and program up to 231 buttons, there is a Z-axis and plenty of other features that allow for a premium experience. X56 offers military precision, VR support, and has improved stick accuracy. Everything you need for an amazing experience is there, other than a proper quality control. Many users suffered from the problem of failing buttons and other controls in just a few months, so, although this is an amazing device (if it works properly), be prepared to end up with a faulty one and need to change it sooner than expected. In our today’s guide, we presented to you the best of the best when it comes to joysticks and flight sticks. If you’re looking for something to make your gaming dreams come true, it is almost certainly somewhere on this list. Consider what it is that you actually need and want, which features are the most important, and how much you are willing to pay, and it shouldn’t be too hard to find your winner.